Electronic Medical Records Have Gone Mainstream - ABI Document Support Services, Inc. - ABI Document Support Services, Inc. If you have visited the doctor lately, you may have noticed that your chart has moved from a file holder outside the door to a computer. In fact, electronic medical records (EMR) have become the norm in doctors’ offices and hospitals across the country. A growing number of healthcare providers are switching from paper medical records to EMR, which makes it easier than ever before for law firms and insurance industry professionals to obtain medical records with the help of a record retrieval service. With EMR, healthcare professionals can access, update and share a patient’s medical history, test results and other information in a cloud-based system that is secure, organized and easy to search. Many providers have even switched to electronic prescriptions, which are transmitted digitally directly from the doctor’s office to the pharmacy. 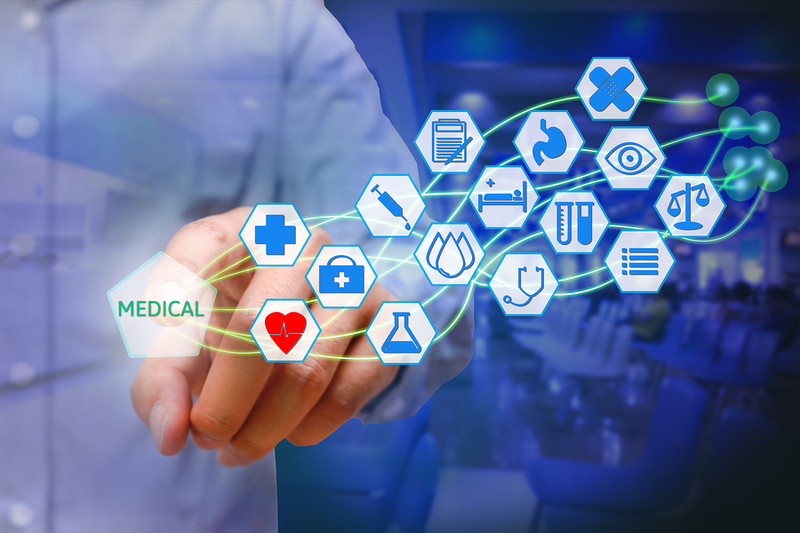 The shift to EMR sped up beginning in 2009, when the Obama administration introduced the Health Information Technology for Economic and Clinical Health (HITECH) Act. The HITECH Act incentivized the transition to EHR by providing billions of dollars in funding for more than 100,000 eligible healthcare providers to adopt certified EHR technology. According to the Centers for Disease Control and Prevention (CDC), 78.4% of office-based physicians use EHR. Data from the federal government reveals that 98% of large hospitals in the U.S. possess certified electronic health record technology. A side-by-side comparison of the number of doctors using e-prescriptions in 2008 versus 2013 shows that electronic prescription use surged in just a five-year period. While electronic records have come to dominate how records are created, kept and stored, there are still millions of records stored in paper format, ensuring that the need to dispatch field agents to a physical location won’t be eliminated anytime soon. For example, ABI field representatives scanned 3,603,607 pages at medical provider offices in 2016 alone. ABI’s production department received another 4,676,163 pages from field representatives. Medical professionals and record custodians don’t have the time, personnel, or financial resources to provide these copies regardless of whether they’re in paper or electronic format, which is why law firms and insurers rely on ABI to obtain the records they need. The switch from traditional paper records to EMR has made it easier for healthcare providers to access, update and store medical records, but law firms and insurance industry professionals still face challenges when it comes to medical record retrieval. Volume — Medical records may have moved to the cloud, but there are still hundreds, if not thousands, of pages to request. More often than not, medical records are spread across multiple providers, who each have their own preferences and requirements for document requests. Tracking — When you request EMR from healthcare providers, your document request doesn’t stop there. You must follow up on your request to ensure you get the records you need. Time — With a record retrieval service like ABI, you know you are getting medical records as quickly as possible, cutting down on delays and taking the headache out of medical record requests. We have the largest network of field agents covering more places more frequently than any other record retrieval service. Cost — When an insurance company or its defense counsel requires copies of a patient’s medical record, ABI can retrieve the records at a fraction of the cost compared to the insurer or its counsel retrieving the records on their own. Contact ABI today to learn how our innovative, easy to use record retrieval system can help you request, manage and search medical records quickly and more efficiently.